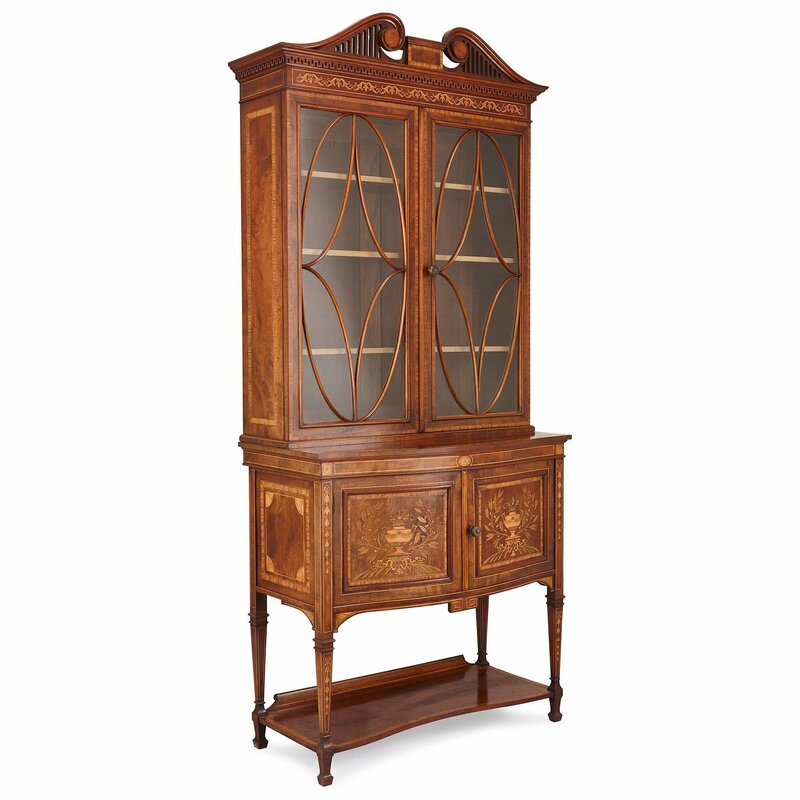 This fine, Victorian display cabinet exhibits an exceptionally high quality of craftsmanship and is notable for the stunning details of the marquetry panels. The cabinet is crafted entirely from mahogany and consists of an upper section and a lower section. The upper section is a rectangular open display unit. It is surmounted by a pediment which is formed of carved scrolls atop two friezes of geometric carvings and scrolling marquetry, which wrap around the front and sides. 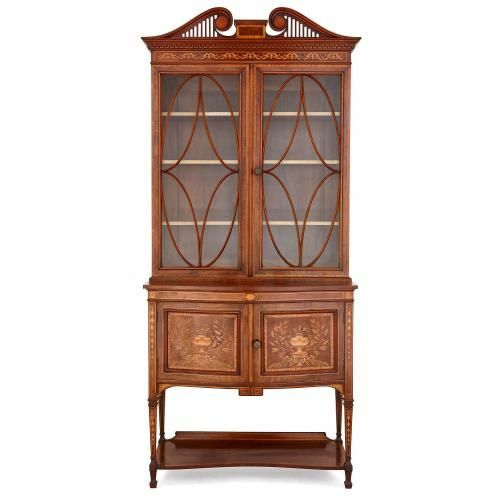 The front of the upper section is formed as two glass doors mounted to the front with wooden decorations in the form of an oval and stars, which open to provide access to three wooden shelves. 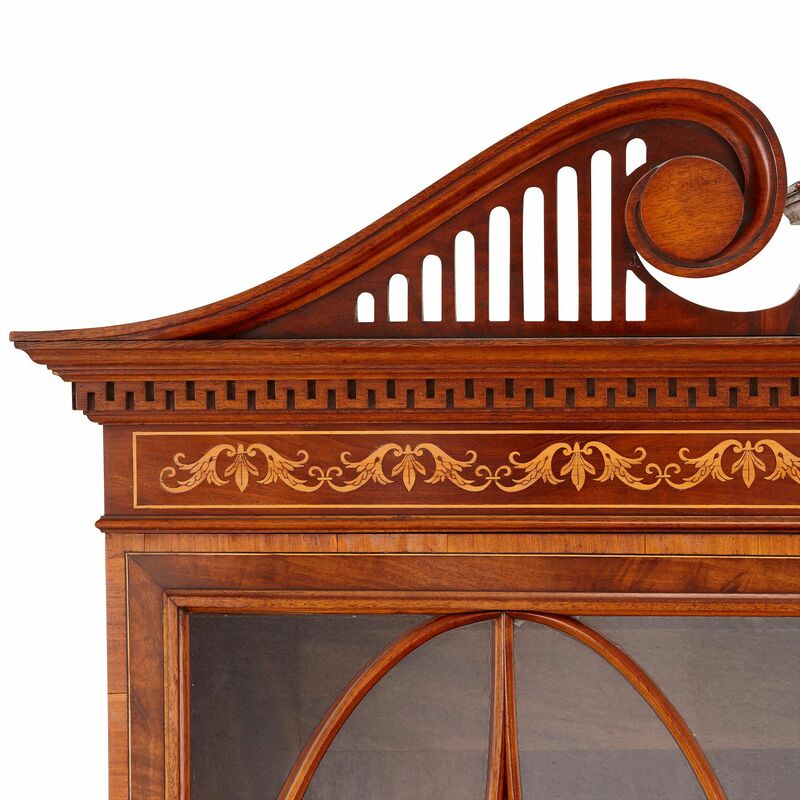 The sides of the upper section feature inlaid border decorations. 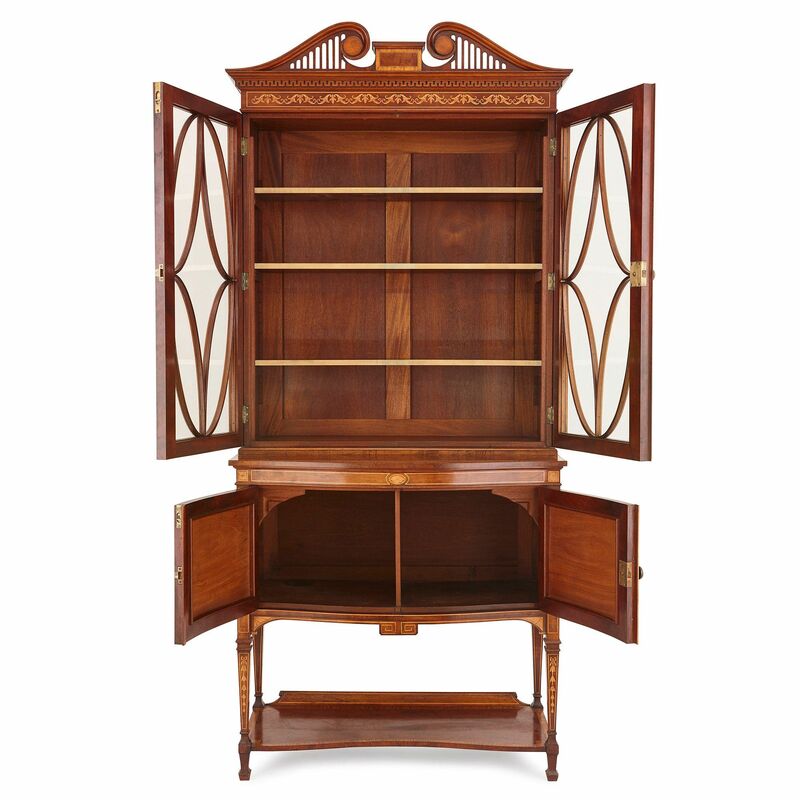 The upper section of the cabinet is set onto the supporting lower section. The lower section of the cabinet is formed as a commode on a rectangular plan which extends our under the upper section and features an surface. 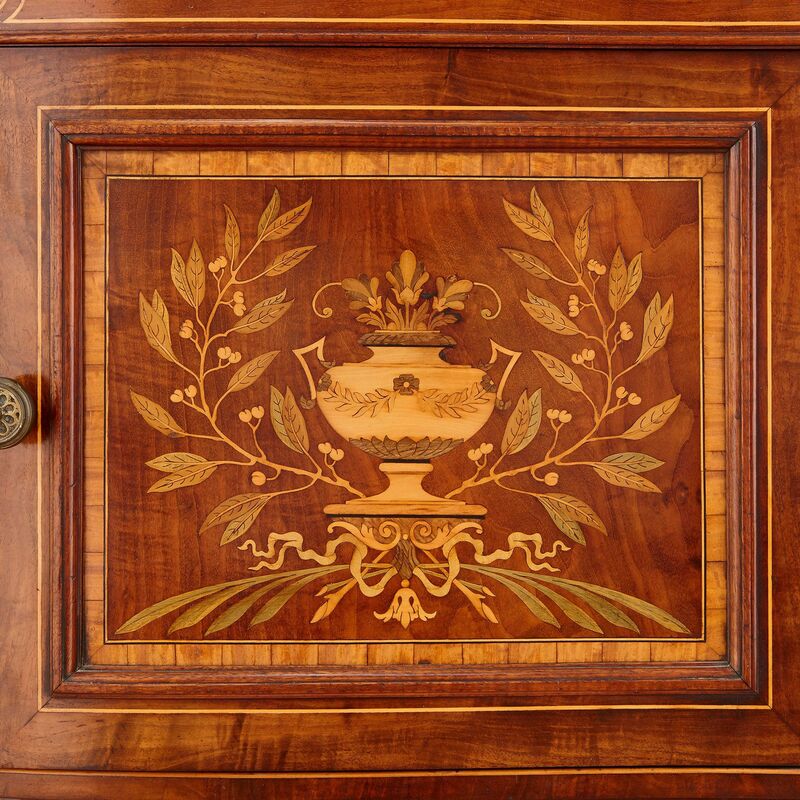 Below the open surface is a simple bordered frieze with a central oval plaque, which surmounts two central cupboard doors, each decorated with a floral marquetry design with an urn. 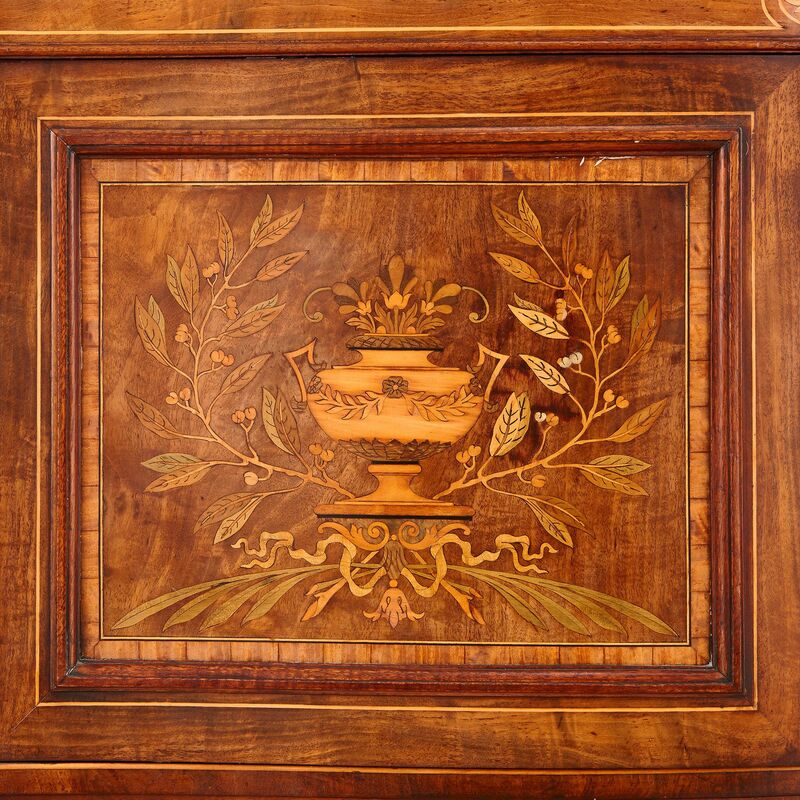 Each of the two sides are further decorated with inlaid borders. 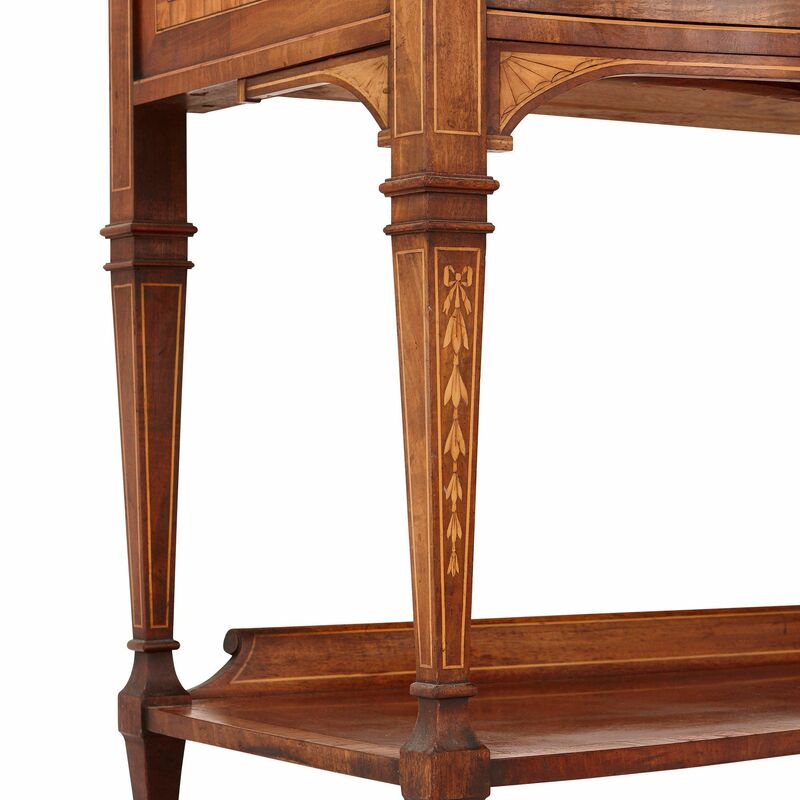 The lower section is set on four, square tapered legs with marquetry inlaid decorations which are joined by a stretcher that serves as an open lower shelf, all on four square toupie feet.